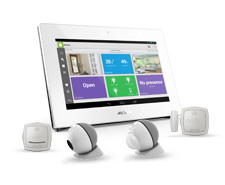 ARCHOS FAQ - How to reinitialize my ARCHOS Smart Home ? How to reinitialize my ARCHOS Smart Home ? Once the download is finished, do a right click with your mouse on the Flashtool file then select “Extract” and follow the onscreen instructions for your unzipping tool. You will now see one folder named “Drivers” and one program named “Tools”. Open the “Drivers” folder, double-click on DriverInstall then on “Install Driver”. Depending on the settings of your operating system, you might have to confirm several times the installation. The installation could take several minutes, this is normal. Press OK once the pop-up shown below is displayed then close the software (cross on the top right of the window). Reboot your computer if asked. 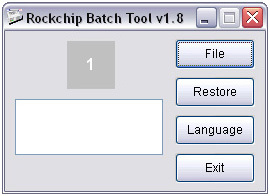 Still on your computer, go back to the folder containing the file Tools and double-click it. Depending on the settings of your operating system, you might have to confirm. Plug the USB cable into the PC. Plug the USB lead into the tablet then press Reset (i.e with a paperclip). The computer will automatically detect your unit and install the drivers for the first time. Please wait until the next step. Your device will enter in “Flashing” mode, the grey square in the flashing tool should turn green. If your device is not recognized, unplug the USB lead from the tablet then plug it in again. If needed, restart from the beginning of Step 4. Press on the File button and browse to where you downloaded the firmware file named update.img. 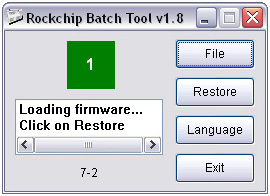 A message will be displayed once the firmware is loaded and the device is ready to be restored. 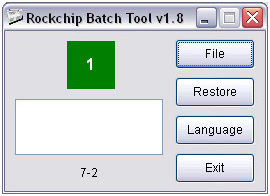 The green square will start blinking yellow, information about the current process step will be displayed. 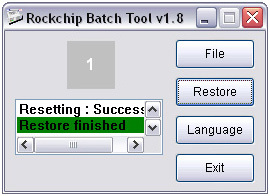 Once the restore has finished, a message on a green background will be displayed, your device will automatically reboot by itself. This first boot could take up to 20 minutes, it’s perfectly normal. 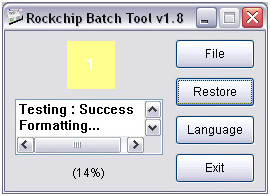 If the final message is displayed on a red background, please retry from Step 4. You should unplug then plug the USB cable before the new attempt. Your device has now been reinitialized. To download and install the original content of your tablet, please see the following FAQ.